The regular UK 7"-release has a small multicolour band-shot (Pål, Magne (in mid-air) and Morten) by Knut Bry on a white background with light blue "spots". 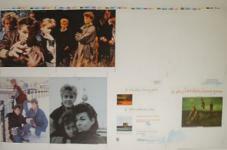 "a-ha" plus the title of the single is hand-written in orange across the upper part of the picture sleeve above the group-shot. The reverse features another small group-shot (the same as the one used for the "Scoundrel Days"-album) plus an additional scenery-shot. Track listings are in hand-written light green lettering introducing the album version of "I've Been Losing You" in addition to the previously unreleased "This Alone Is Love" (4:30) produced by Mags and Pål. As with many of the 7" singles, there are versions available with different coloured labels including white, silver and blue / grey. With the exception of the added information on extra tracks, the 12"-release offers a sleeve identical to the 7"-edition. "Extended Version" is printed below the title, while the "Dub" and "This Alone Is Love" have been listed along the lower section of the sleeve. Both the "Extended Version" (7:02) and the "Dub Version" (4:25) are remixes by Jellybean. A 12" limited poster edition is also available which includes the same 24"x36" colour poster as that with the limited 12" of "The Sun Always Shines On T.V.". In addition to the extra "Special Limited Edition Personality Poster W8594 TW"-sticker, this release features a different sleeve as well. The front is dominated by a black and white nature-shot which covers more than 2/3 of the sleeve. 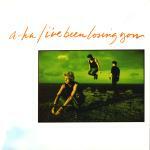 "a-ha" and the song title is printed in light green block letters while an identical, but even smaller version of the photo issued on the 7" release, is placed near the lower left hand corner. The remaining 1/3 of the cover on the left hand side is white with a couple of light blue `ink spots', while near the centre of the sleeve there is an orange and green strip-excerpt of a photo of autumn trees. The reverse features a relatively small black and white excerpt of a photo near the lower right corner, while additional information has been printed in light green, red and black. As on the front a light blue ink blotch has also been included on the white background. The existence of some original artwork suggest that there were plans to release a collectors limited edition fold-out picture bag 7" of "I've Been Losing You" (catalogue number W8594V). 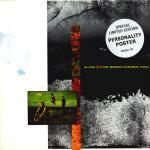 This was never released and the same artwork was used in the 7" limited edition release of "Cry Wolf". There was an Argentinian promo 7" with a-ha's "I've Been Losing You" (Te he estado perdiendo) on side A and John Fogerty's "Eye of the zombie" on side B. The single has beige labels with black WB-logo and text plus a yellow promo stamp. It comes in a generic red & orange EMI / Odeon sleeve. Australia: The US-made 7"-front is identical to the UK release, while the reverse is similar to the French edition (see below), with the exception of the fonts and colours used on the a-ha-logo and song-title. The Australian edition has a UK-style, green handwriting of both logo and single-title. The 12" features the same cover as the limited edition UK release except that "Specially-Priced Maxi-Single" is printed in white capital letters right above the song-title (which is printed in slightly darker green letters) on the front of the picture sleeve and there is a slightly wider border at the top of the sleeve. The 7" promo does not come with a picture sleeve. 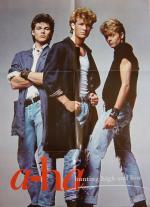 a-ha are featured on the side B and there is a song by a different artist on side A On the disc the track is written as "Te He Estado Perdiendo (I've Been Losing You)". The Brazilian promo 12" has a light green picture sleeve while all information is written in green. WEA is printed in quite large letters vertically to the left side of the sleeve while the track listings (Lado 1 and 2) are written in smaller letters to the mid-right of the sleeve. In addition "PROMO No. 44 - Promocional - Venda Proibida" is written in small letters in the upper mid-right position of the sleeve. Apart from the a-ha track "I've Been Losing You" Faixa do LP "Scoundrel Days" the record features songs by Paul Simon (You Can Call Me Al) on side/lado A, plus George Benson (Shiver) and Regina (Beat Of Love) on side B. The reverse of the picture sleeve is identical to the front. All information on the white specked label is written in Portuguese where Pål Waaktaar has been credited and the song has been given the number 62989065. The time printed on the 7" is (3:38), the time of the edit version of the song, but it actually plays the regular version. Like many of the Canadian releases, they come in a white WEA sleeve. The promo has promotional text printed on the record label and has a small hole in the centre. The US-made front of the picture sleeve features different writing compared to the UK 7"-release. The a-ha-logo is green, while the song-title has been printed in a slightly different style of handwriting and in larger red letters. The reverse features a red a-ha-logo and the song-title printed in green. The band-shot has been omitted and there is no mention of the b-side track "This Alone Is Love". The reverse of the 7" picture sleeve is slightly different to the UK issue in that the German issue only features the landscape picture and not the group-shot. 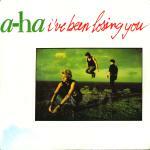 Also the German copy only lists the single title "I've Been losing You" and not the b-side "This Alone Is Love". The text concerning copy right is also situated differently. The cover of the 12" is identical to the Australian release. The sleeve of the 7" is slightly different from the German release. The colours are printed darker and the red font on the reverse differs slightly. The 7" has a cover similar to the "Scoundrel Days"-album release. The Japanese title-tracks are printed in green and blue letters while the English titles are written in small black capital letters. "a-ha" is hand-written in black. The reverse offers a live black and white band-shot, lyrics in English and Japanese, plus a small advertisement for the "Scoundrel Days"-album. Some copies of the 7" come with a questionnaire including a small advert for the mini-album "Twelve Inch Club" and a bigger black and white a-ha group-shot. The version of the title track found on the 7" is actually the edited version (3:38) which seems to be the same as the album version except that it fades at an earlier stage. The Japanese 12" is similar to the Australian release. However, the "Dub" mix has been omitted and the green colour used in the titles is the same as that of the UK limited 12". The Japanese edition also features an obi-strip in white, black and green including information on the release, lyrics to "I've Been Losing You" plus a small advert for the album. The Mexican "I've Been Losing You" promo 7" comes in a WEA Mexico sleeve and has "I've Been Losing You" on both sides of the disc. The title is written in Spanish as "Te estoy perdiendo". The 7" is the same as the Australian release. 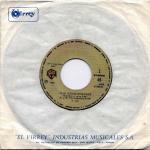 The Peru 7" comes in a white paper sleeve with the text "EL VIRREY" INDUSTRIAS MUSICALES S.A. and an address printed in blue along the bottom. The disc label is light brown with the tracks written as "Te He Estado Perdiendo (I've Been Losing You)" and "Esto Solo Es Amor (This Alone Is Love)". There also exists a white label promo 7" from Peru. This 7" also comes in a white "El Virrey..." paper sleeve. The 12" comes with a coloured sticker on a company sleeve. It features a unique band shot on a bright blue background. A-HA and the title are printed in white letters on purple strips with Extended Maxi Single printed down the side. The 7"-release has sleeve similar to the UK 7" except that the reverse is printed in black and white. The 12" also has a similar sleeve to the UK release, but the reverse is printed in black and white. The sleeve of the 7"-single is the same as the German edition. The promo comes in a plain white paper sleeve. The record labels are white with black text, including the words "Promocional Prohibida Su Venta". The 7" and 12"-releases are identical to the Australian editions. There is a US 7" which has an incorrect catalogue number printed on the sleeve (7-28954), it is printed correctly as 7-28594 on the record label. There is a USA promo 7" which comes in a standard Warner Bros. Records sleeve. The a-side of the record features the regular "LP version" of "I've Been Losing You" (4:24) while the b-side has an "Edit / Fade" version (3:39). Portugal I've Been Losing You (Extended Mix) // (Dub Mix) / This Alone Is Love (Original Version) ? 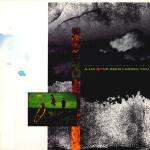 Spain I've Been Losing You (Extended Mix) // (Dub Mix) / This Alone Is Love (Original Version) 920 557-0?